-The General Reporter and was named Deputy metropolitan editor at The New York Times. -A reporter for The New York Post. -A columnist for The Times. 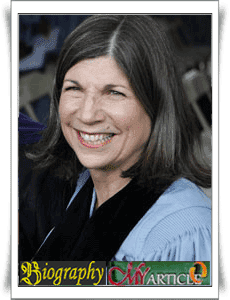 Anna Marie Quindlen writes a regular column for the Op-Ed page, "Public and Private", "About New York", "Life in the 30s" and Last Word Column, a column for Newsweek magazine's prestigious. Produces five best-selling novels, some of whom Object Lessons in 1991, One True Thing in 1994, Black and Blue in 1998 and Blessings in the year 2002. Quindlen's latest novel, the Blessings are bestsellers. Quindlen wrote in novel also exist that have filmed as One True Thing which starring Meryl Streep and in martial arts film directed by Carl Franklin.